Changing my address to "malfunction junction"
It gets even spookier on the inside. I’m considering selling my home and renting an apartment so I can call some absentee landlord to fix my problems which seem to be coming in multiples lately. 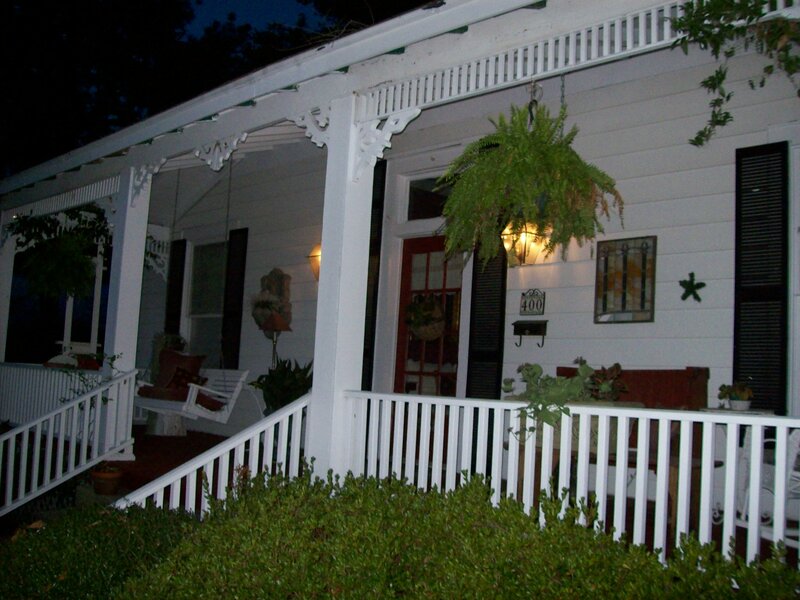 I live in an old 1890s vintage farm house that once was out in the country and is now in the middle of town. I’m convinced that it’s haunted and things are getting spooky. On Saturday night around 2 a.m. the police showed up AGAIN! They said someone had called 911 from my address. I reminded them they came calling about six months ago for the same reason, and they looked at me like I was smoking something funny. Unless I’ve got a crazy old man living in my attic, no one in this household can dial 911 but me. I probably wouldn’t have sense enough to call 911 even if I needed help. I would call my son “B” which I did today when my General Electric Profile Self Cleaning Oven decided that it wanted to incinerate the world. My friend Olivia is coming to visit and she is an impeccable housekeeper. She would be horrified to peak in the oven and find stalagmites growing in there. So, I punched up the button that says “auto clean” and waited. It said it would take three hours which didn’t surprise me since it’s been at least six months since the last cleaning. I went to church, then Kroger, and was gone for at least three hours. When I came home the oven was still locked and loaded. I went to visit a neighbor and came home and it was still making sounds like a tiger in heat. By now, at least four hours had passed. I panicked and started pushing buttons to stop the stupid thing. It continued to heat the planet. I raced to the computer and googled General Electric and guess what I found? This GE Profile wall oven has some kind of defect and other people have found it won’t stop cleaning. Ever! I would be cleaning my oven for the next 10 years without intervention. The website said you must cut the power off at the breaker. I ran to the breaker and began pushing buttons, certain that my home would explode at any moment. I ran back to kitchen – it was still incinerating. I called “B” and he said I must throw the main switch- Well, why don’t they label it “MAIN SWITCH” – that would be too easy!. I threw the big button and my phone went dead. What now? I rush to the oven and blissfully, thankfully, it was dead. Of course, so was everything else in my house. How peaceful. How serene. Maybe God was speaking. Maybe I needed a big break. Disaster averted, I went back to reinstall electricity. I noticed on the way that my walls are bleeding worse than usual. Yes, my walls bleed. They emit a sticky red substance that a contractor told me is sap from old heart pine construction underneath the drywall. Lovely. Every time I hang a picture, it begins bleeding within weeks. So all the pictures in my home have red sticky stuff dripping down both sides. Come see. Oh, but I do love this place. Mess that she is. I wouldn’t live anyplace else in the world. I do wish she would stop calling the police. This entry was posted in Coping with retirement and tagged haunted hosue, Malfunction junction, this old house by Emily Jones. Bookmark the permalink. I think you have me confused with someone else! Have you looked inside my oven lately? I think I will clean mine today! I’ll let you know how my cleaning goes…. I do not believe that for one minute, but on the outside chance you find a speck of baked on material, you must send me a photo! You hear?